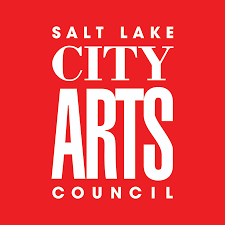 Founded in 1978, the Visual Art Institute is Utah’s oldest nonprofit after-school arts organization dedicated to youth. Our vision began in 1978 when Stephanie Burn determined that her college students at Utah State University had lost their ability to think creatively. VAI came as the result of her desire to teach children how to maintain and foster their creativity throughout their lives. Since the founding of the institute, thousands of youth have had the opportunity to work with hundreds of local working artists in the community in a variety of media. In 1998, Bruce Robertson took over as the Executive Director. That same year, VAI began working with public schools and offering tuition assistance to provide better access to low-income youth. By expanding these programs, services, and instruction to more youth, VAI has become an essential part of Salt Lake's art community. Many students earn local, state, and national awards, and receive scholarships and entrance into top universities and art schools throughout the country. Their success is due in part to VAI's dedication to assisting serious art students build their confidence, technical skills, and portfolios. Bruce Robertson's ongoing guidance has helped students gain a competitive edge over other applicants by coaching them through their high school years and offering invaluable insight as students pursue higher education. VAI has something for everyone, regardless of who you are or where you come from. VAI encourages students to tap into their creativity, imagination, ingenuity, and confidence. VAI focuses on building every student’s confidence and skills in the visual arts, and in giving back to the community. As we give of ourselves— heart and soul— to our students, we hope that they in turn will give back to the community around them. Anywhere! If you’re a new student, check out our term classes (we have several for each age group). Every class is designed to be accessible and a successful experience for each student. Classes are intentionally small to allow for students to receive individual attention and instruction, and focus on peer support and critique. Visual Art Institute is a small and friendly nonprofit art school where lasting life and artistic skills are taught. Registration is easy and secure, and everyone is welcome!